Three years into a five year mission, the crew of the USS Enterprise find themselves struggling with their, often monotonous, existence. James T Kirk (Chris Pine) has begun to question his captaincy, while Commander Spock (Zachary Quinto) feels torn between the Enterprise and his obligation to the Vulcan race. However, personal conflicts are dismissed when news of a distressed ship reaches the team. A rescue mission is never in question - this is, after all, what the Enterprise does best. Too late, they realise that they have been drawn into a trap by the evil and mysterious Krall (Idris Elba). Can Captain Kirk and his crew find a way to save the universe? Just what does it take to become a Trekkie? I wouldn’t dream of calling myself one despite having watched and enjoyed my fair share of Star Trek movies and televisions shows. No, a true Trekkie needs to make a serious commitment to the franchise - one far greater than I have managed. As a result, I have the utmost respect for all you Trekkies out there. The same could well be said for director Justin Lin (Fast & Furious)’s Star Trek Beyond. This is a movie that wants to please the fans and, in my humble opinion, it stands a good chance of achieving this goal. The movie captures the atmosphere of the Nimoy/Shatner days - even down to those shaky polystyrene sets and uncomfortable-looking suits. As was always the case, the best moments in Star Trek Beyond are those that take place between the crew. The film reaps the dividends of having a group of actors so comfortable and assured in their roles. However, do not expect another serving of the Kirk and Spock show. In a genius move, the film places this bromance on the back-burner and, instead, pairs Spock with McCoy (Karl Urban) and Kirk with Chekov (the late Anton Yelchin). I particularly loved the scenes between Spock and McCoy. They breathe some much needed warmth and humour into a film that does, at times, feel all frenetic action and (largely incomprehensible) shouting. 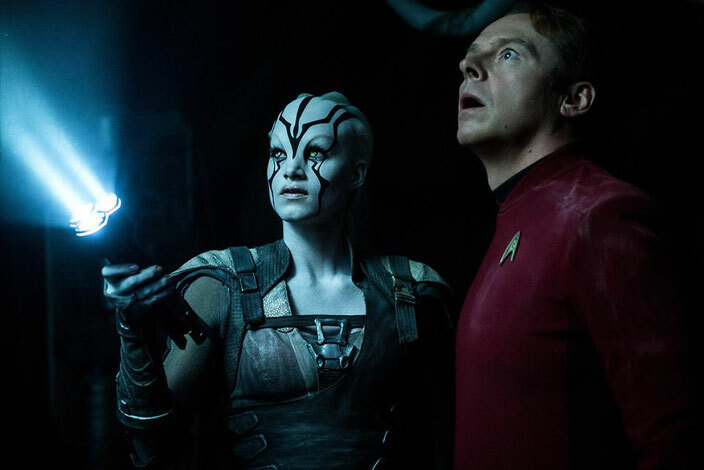 Alongside the familiar faces, new characters are introduced in Star Trek Beyond. I enjoyed Sofia Boutella’s Jaylah and her interactions with Montgomery 'Scotty' Scott (Simon Pegg, who also co-wrote the script) are a lot of fun. Sadly, the film just does not have enough time to devote to all of its key characters. Zoe Saldana’s Lieutenant Uhura and John Cho’s Sulu both feel under-served (although Sulu does get a brilliant, laugh-out-loud line). However, the character that feels almost criminally underutilized is the big baddie. Krall felt like the least interesting part of Star Trek Beyond. His motivations are fuzzy at best and he is never given the chance to shine. A real shame given the potential of the superb Idris Elba. 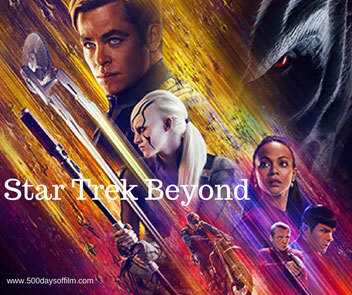 While Star Trek Beyond is far from perfect, it is entertaining, enjoyable and thoroughly respectful of an incredible franchise and its dedicated fans. Have you seen Star Trek Beyond? If you have, what did you think of this movie? I would love to know - just leave me a comment in the box below! I think this film falls flat, with a poor story line and direction that's all over the place. A disappointment compared to the two previous efforts.